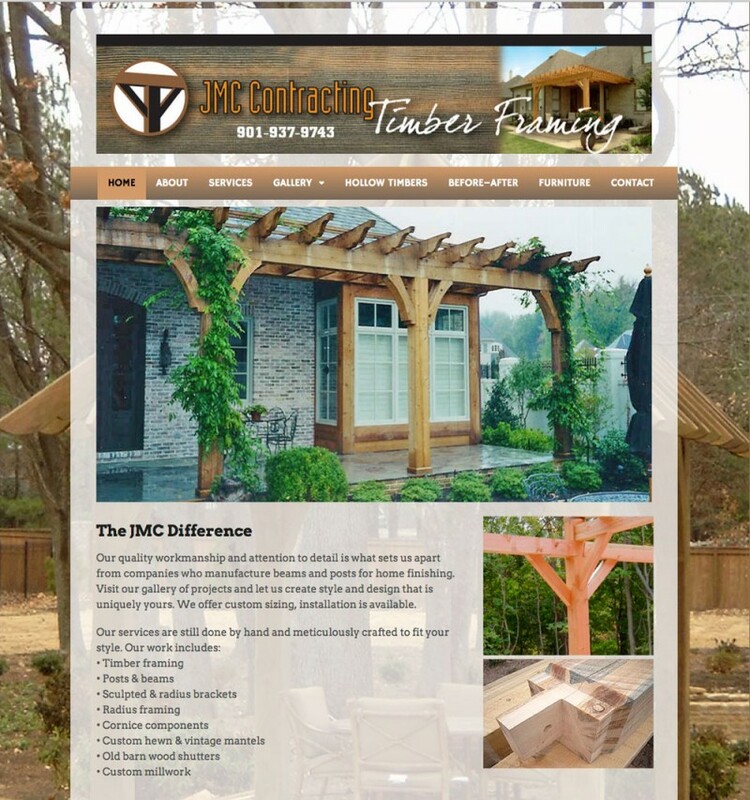 JMC Contracting of TN is located in Somerville, TN with amazing capabilities for construction in large timber framing for homes, porches, out buildings, patios and so forth. Take a look at their website showing their talent for timber frame construction as well as building furniture and their hollow frame timbers for lightweight construction. 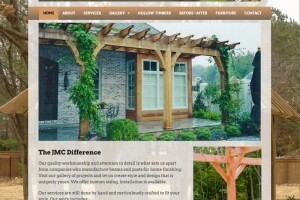 Taking their old Flash website, this was converted to a WordPress website with the gallery containing slideshows of their accomplishments and capabilities.